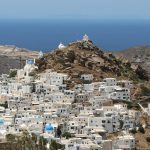 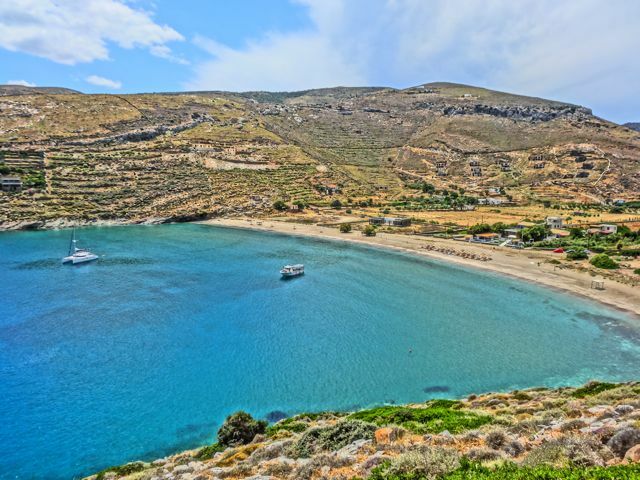 To enjoy the beauty and charms of Chora, it is better to wander around its magical streets during day-light hours, when most of the crowd is lying on the beaches, the bars closed and the locals out of their houses. 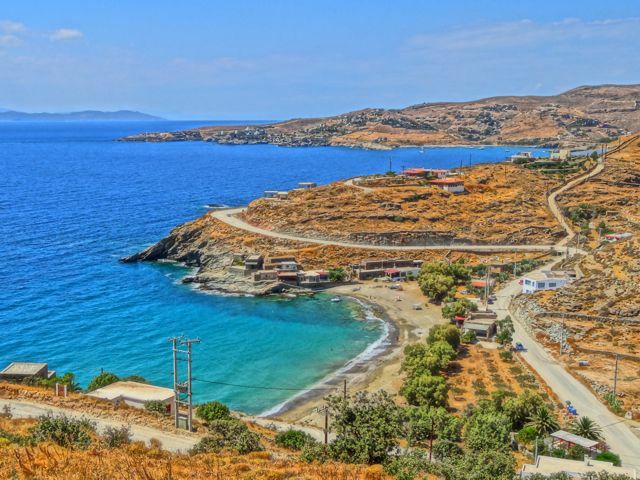 The breathtaking view from Panaghia Gremiotissa, the highest spot of the village, is worth seeing and truly unforgettable, especially during the amazing sunset. 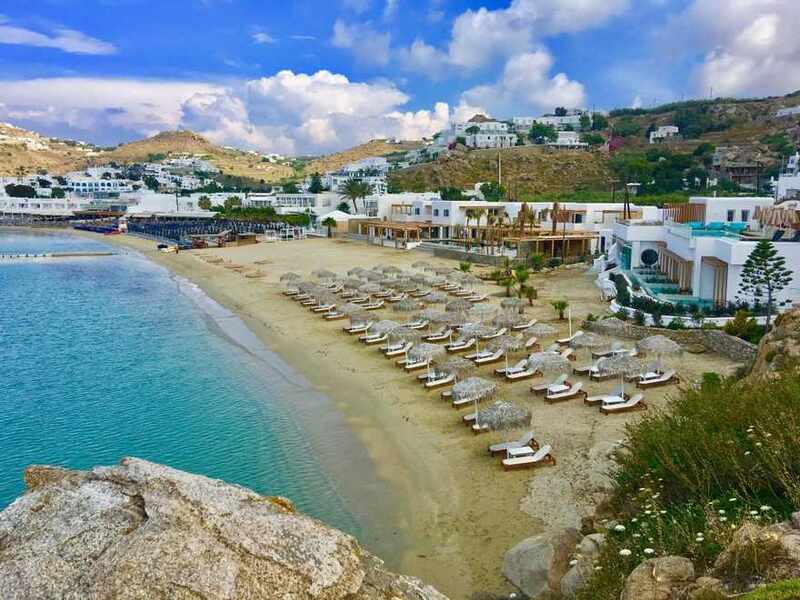 Behind the beautiful whitewashed windmills is the outdoor amphitheatre Odysseas Elytis (a famous Greek poet), where some concerts and plays are performed during summer. 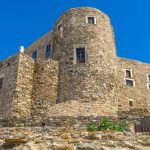 The ruins of the Venetian castle which lie on the top of the hill and look over the village, are also very interesting to see. 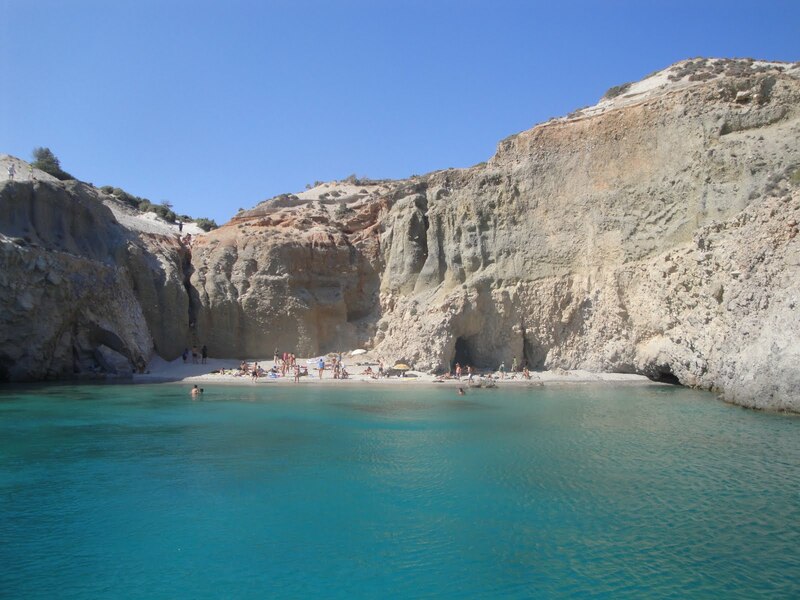 Despite the great amount of tourists and the frenetic nightlife, Chora has kept its traditional character and colours, as it has been proclaimed a preserved settlement. 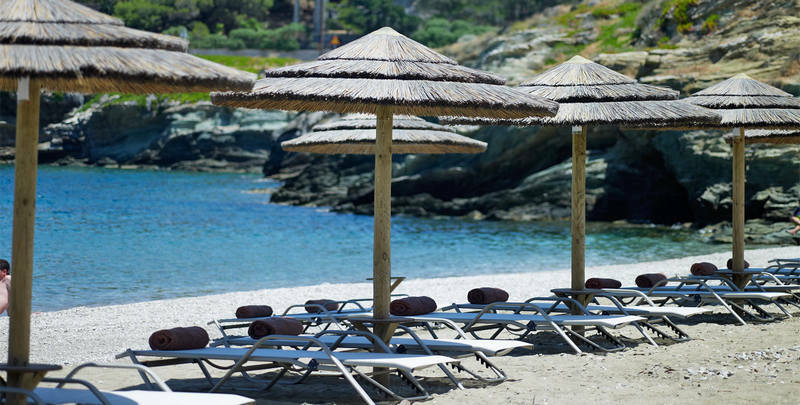 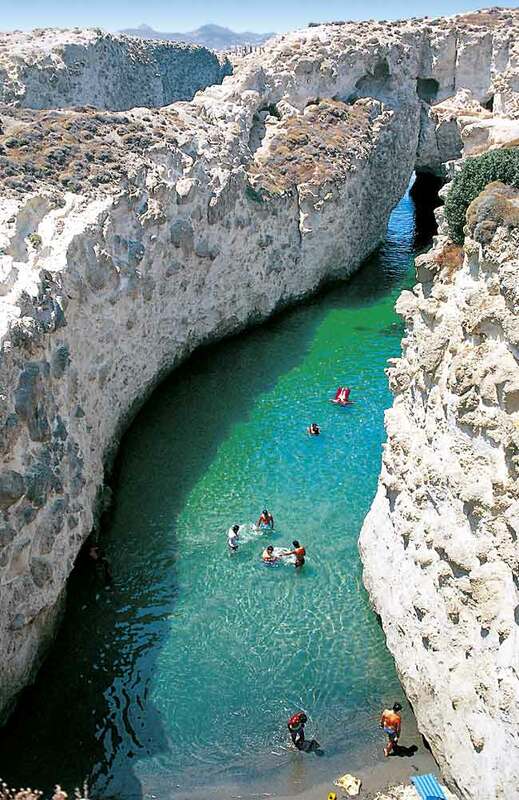 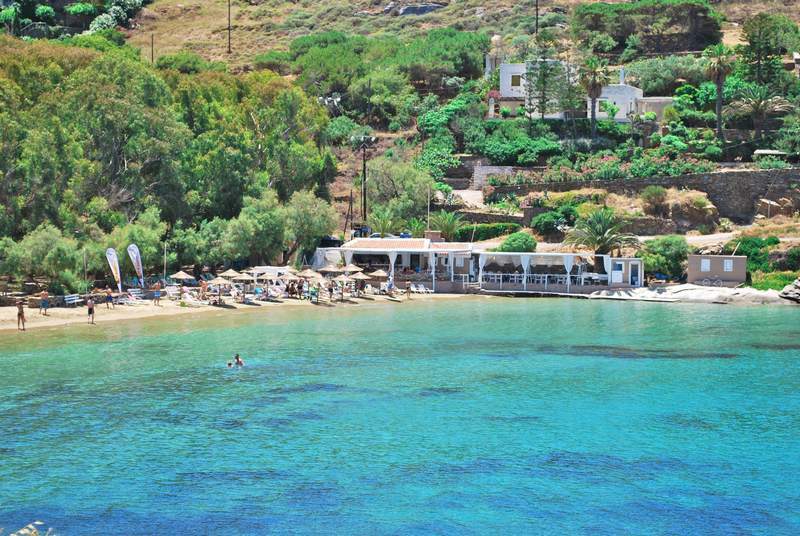 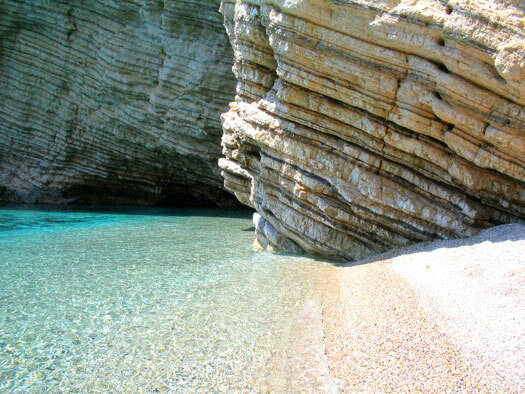 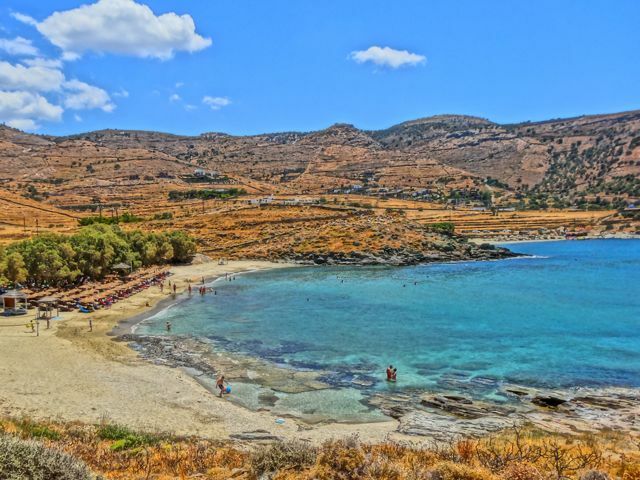 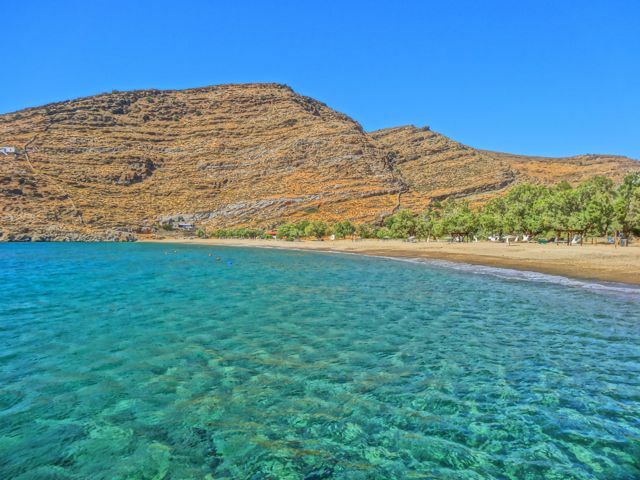 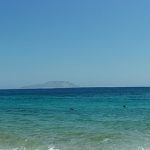 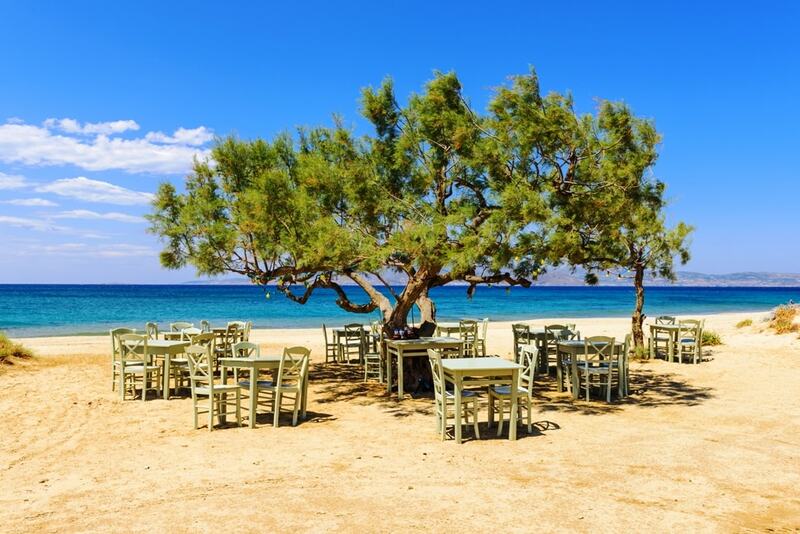 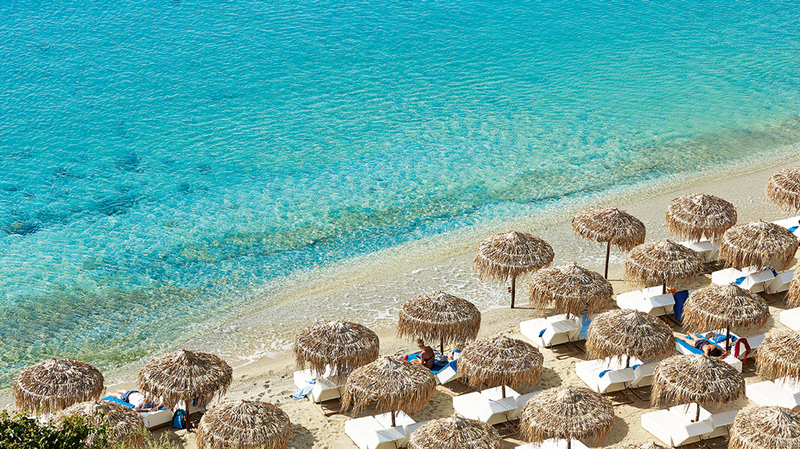 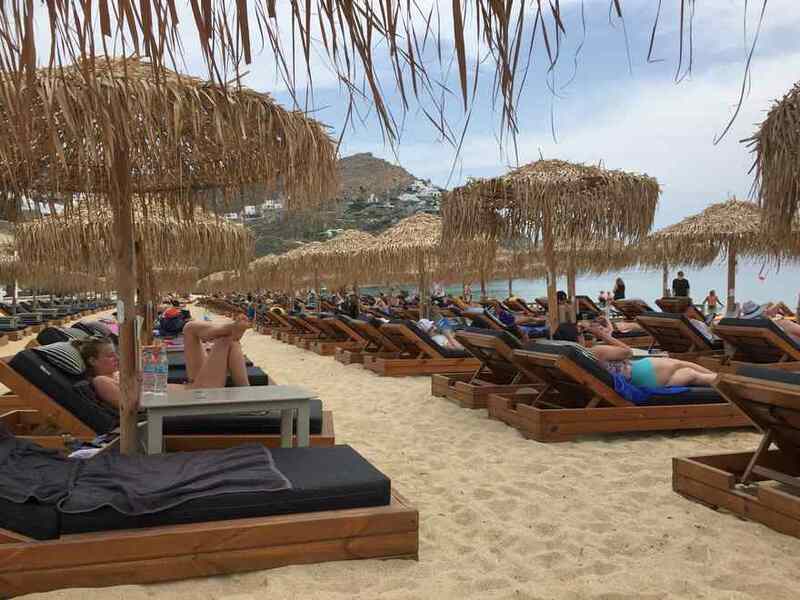 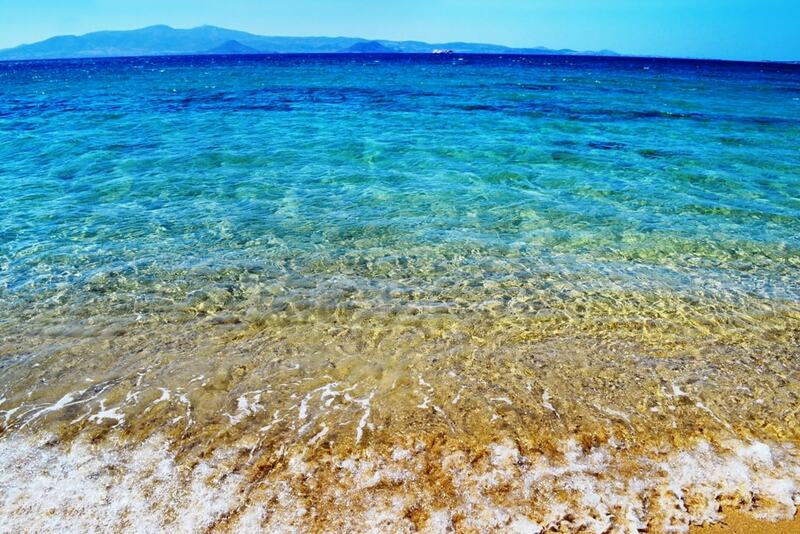 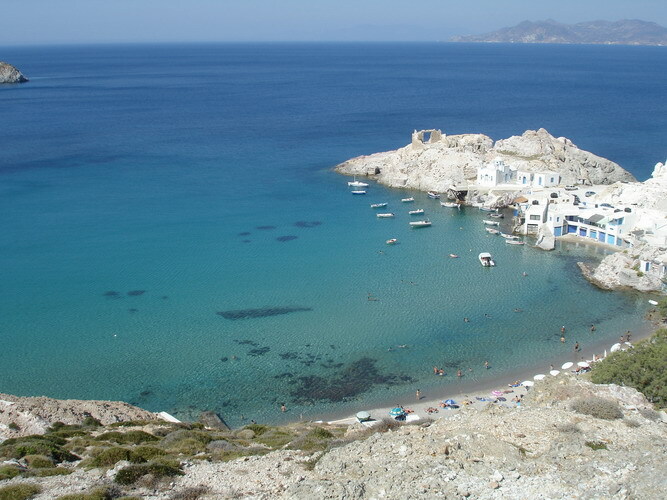 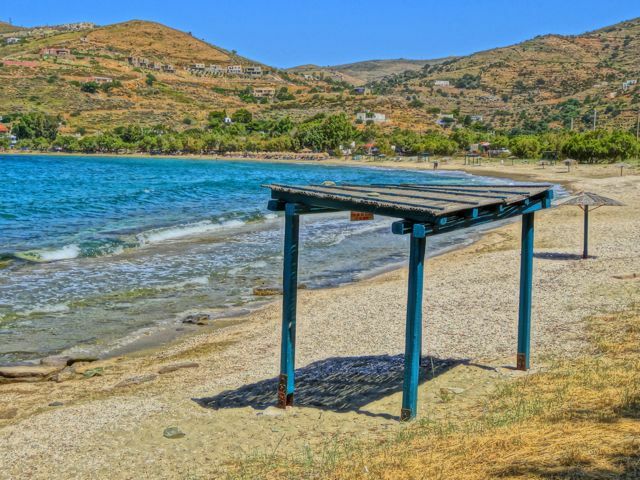 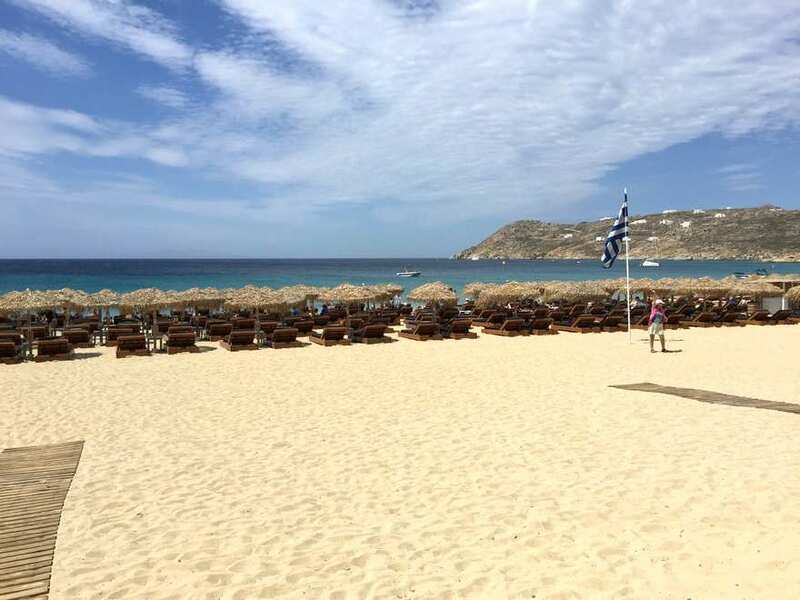 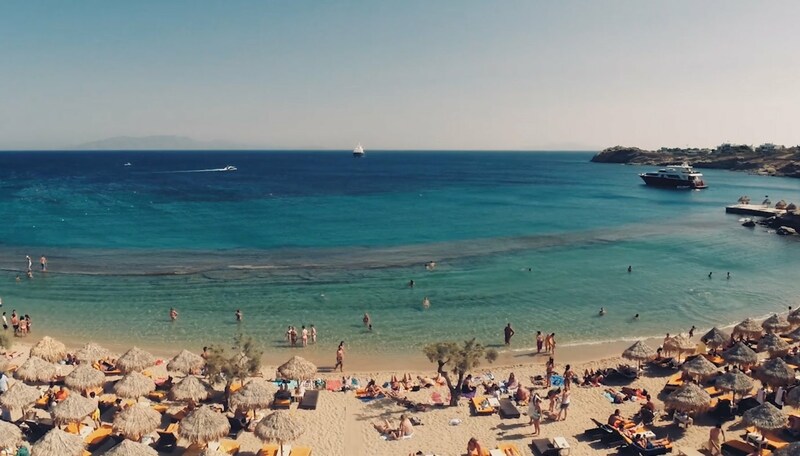 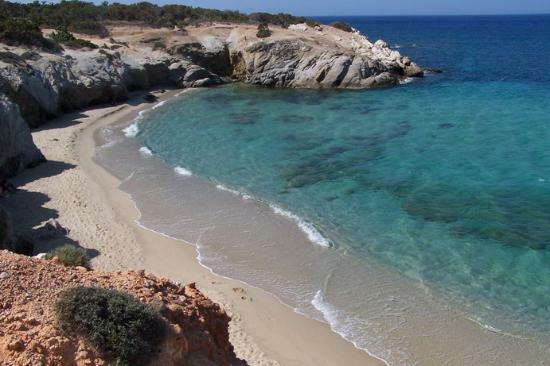 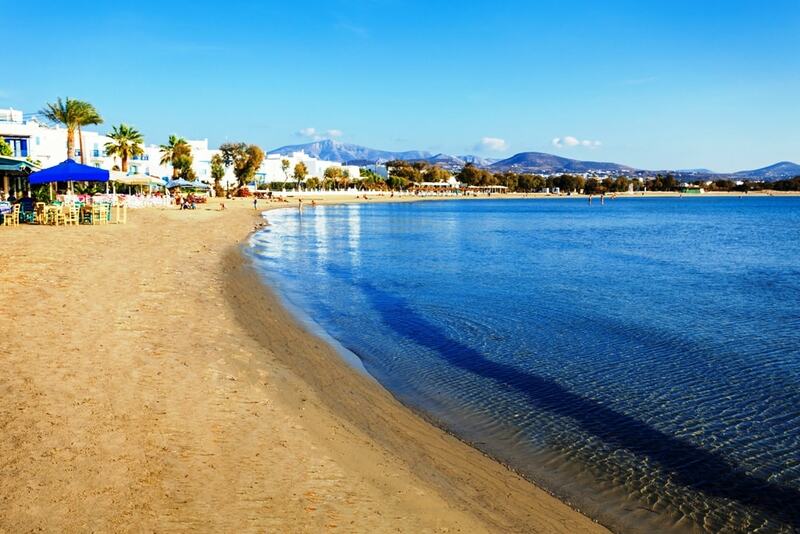 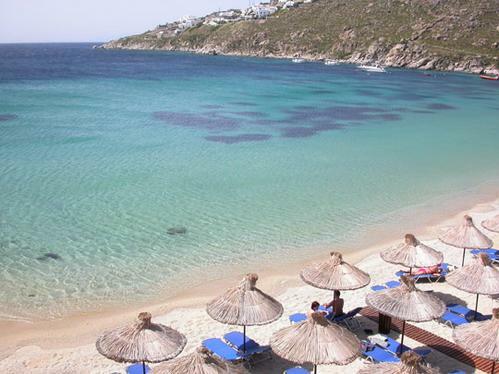 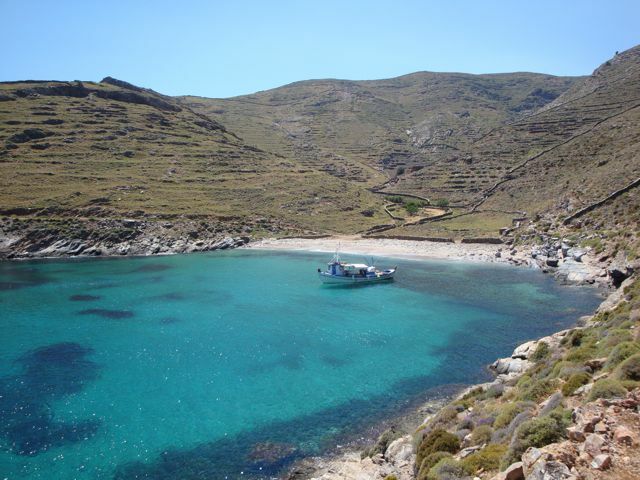 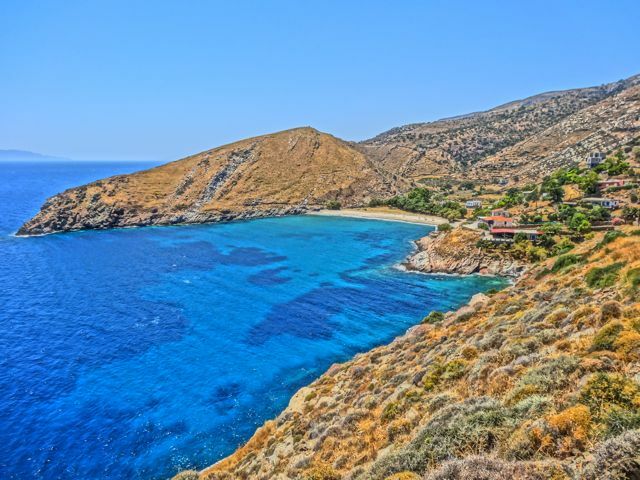 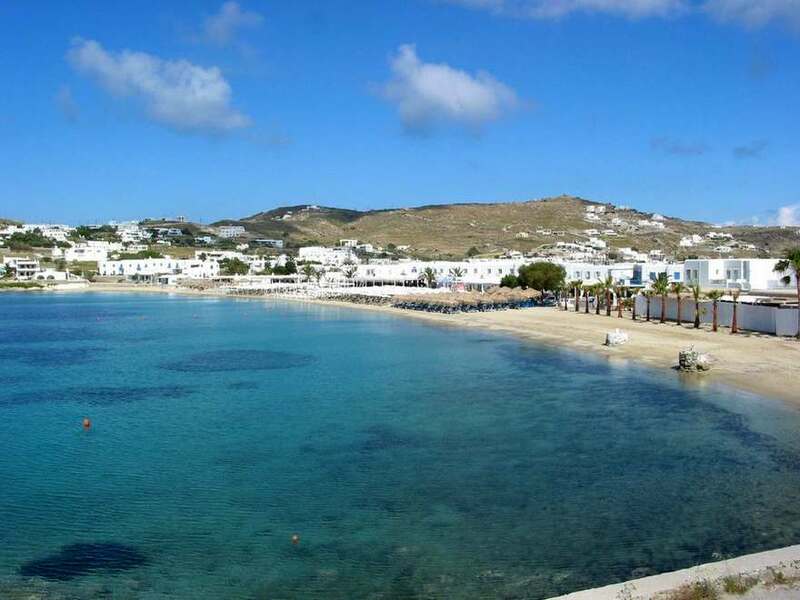 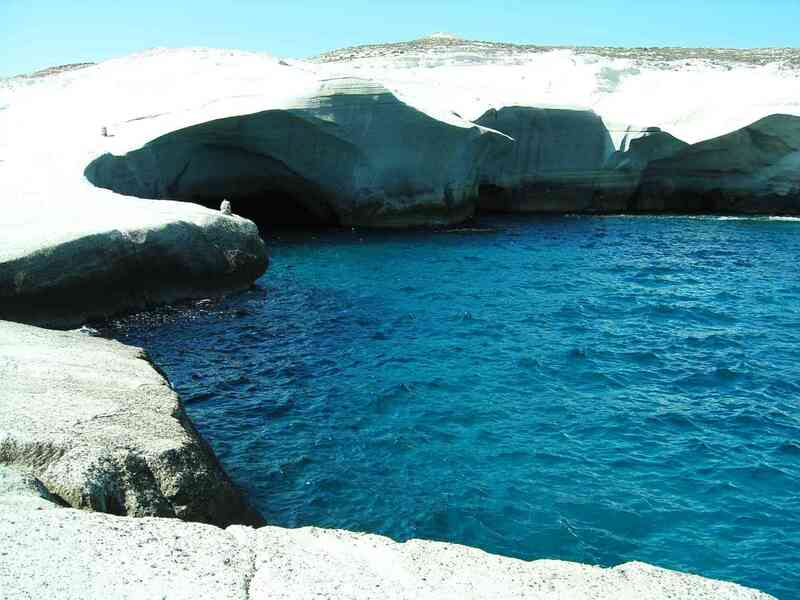 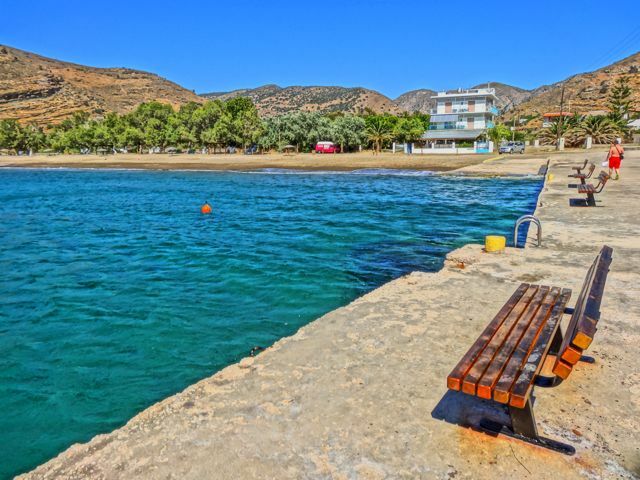 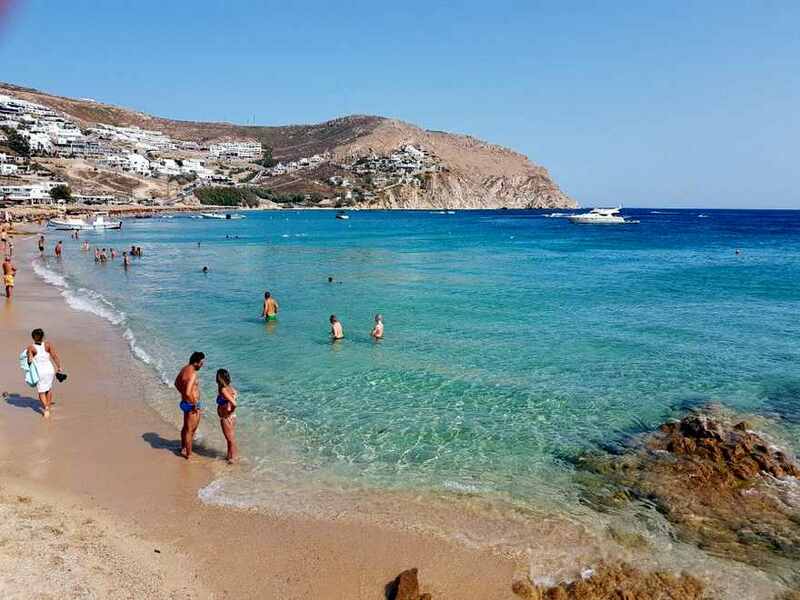 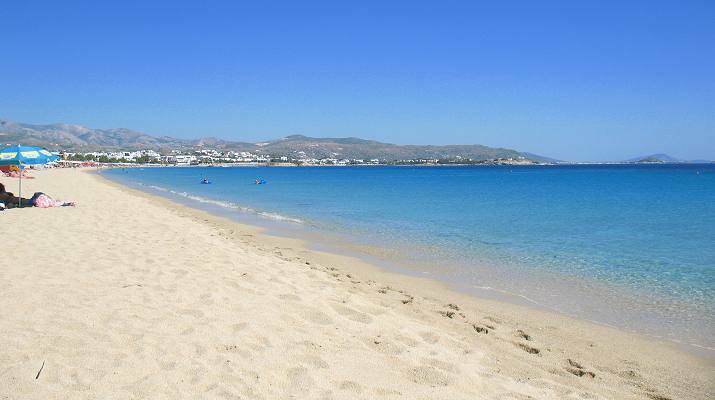 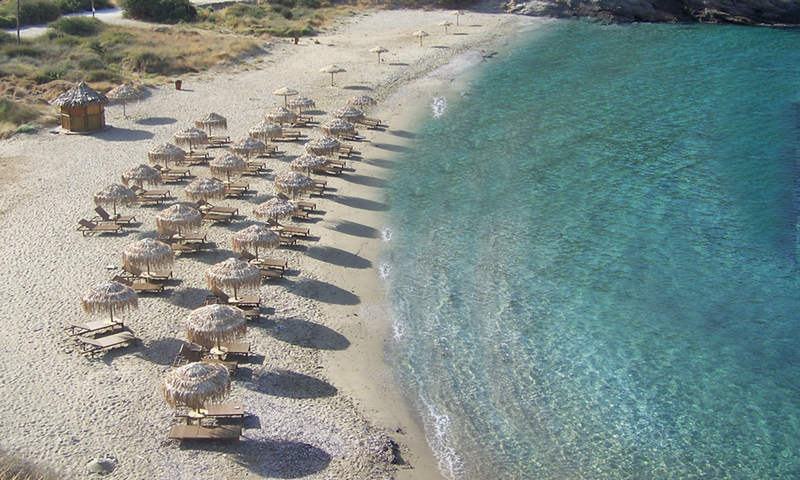 Kalamos has a long sandy beach with clear waters ideal for snorkelling. 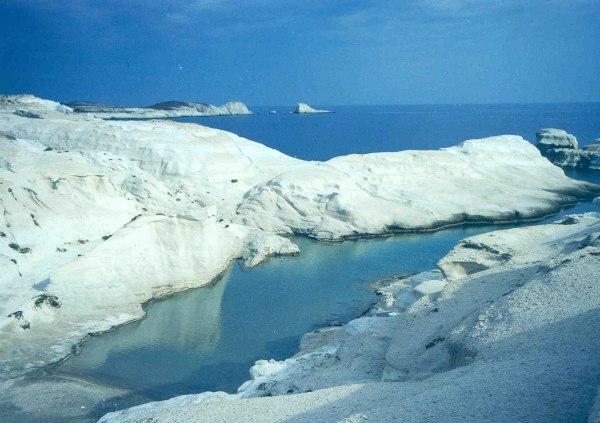 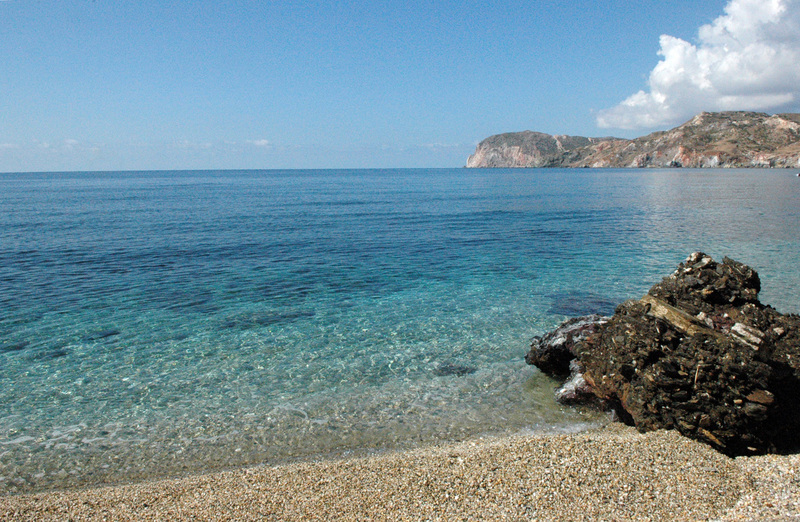 To the south of Kalamos Beach , the road takes you to Plakes, a rather remote beach. 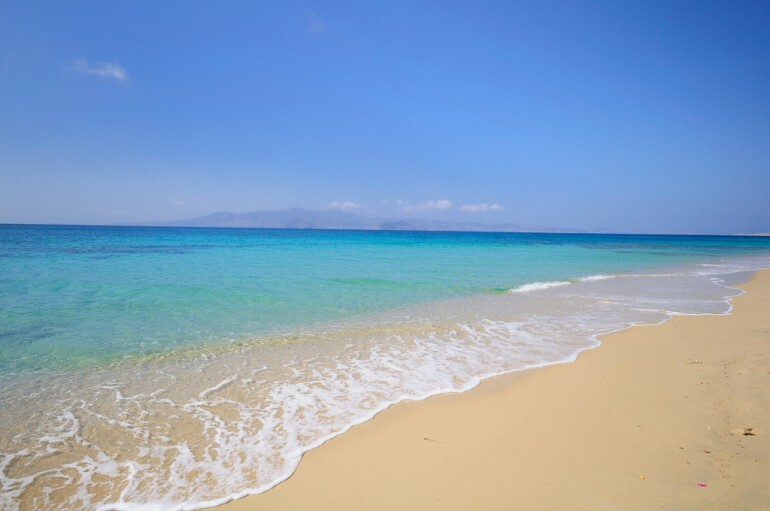 The beach of Koubara is 300m long with many taverns along the way. 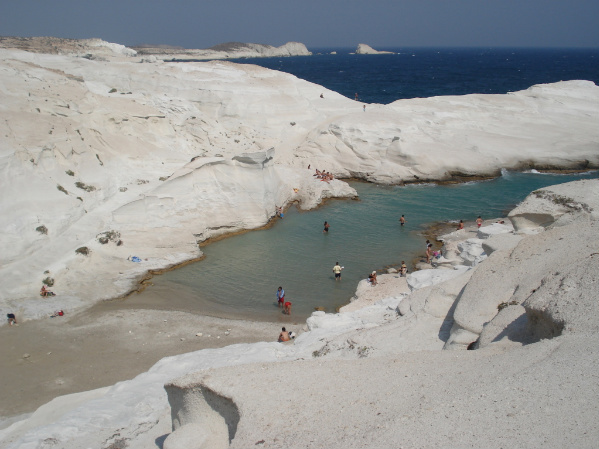 It is also a nudist beach. 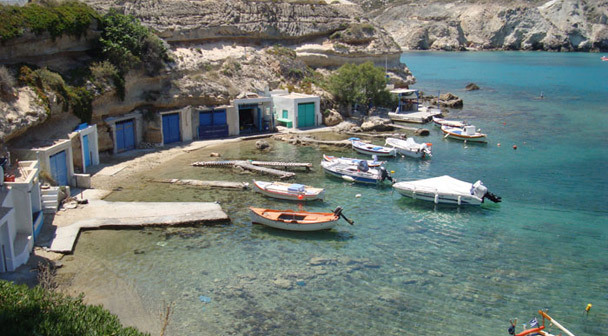 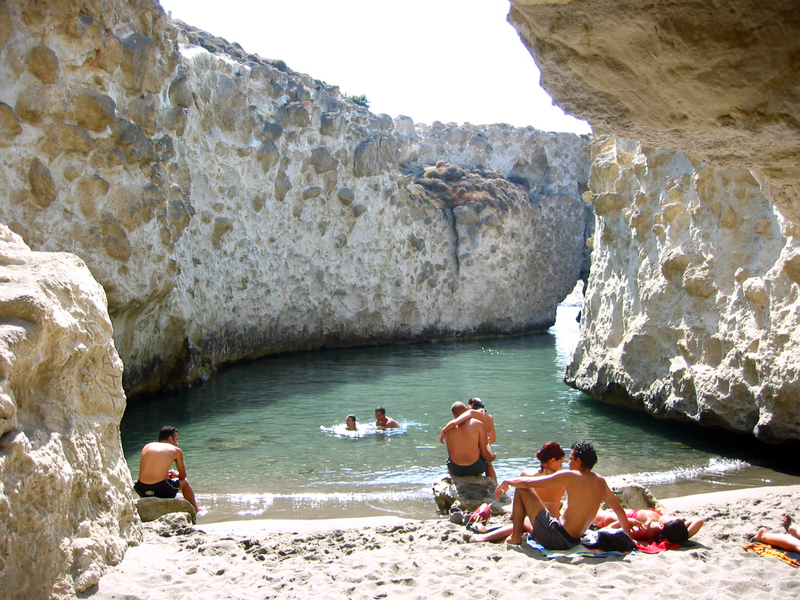 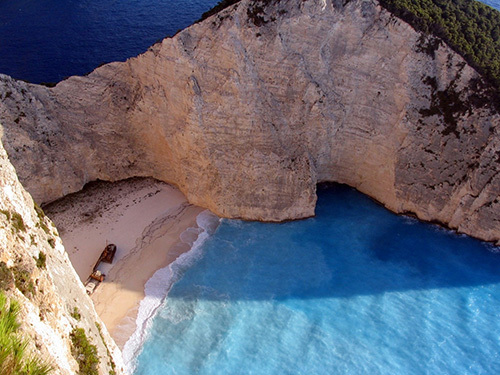 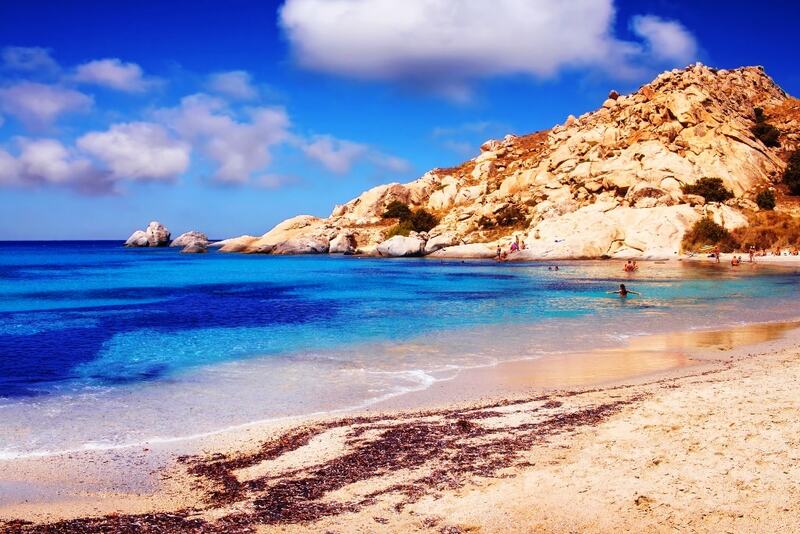 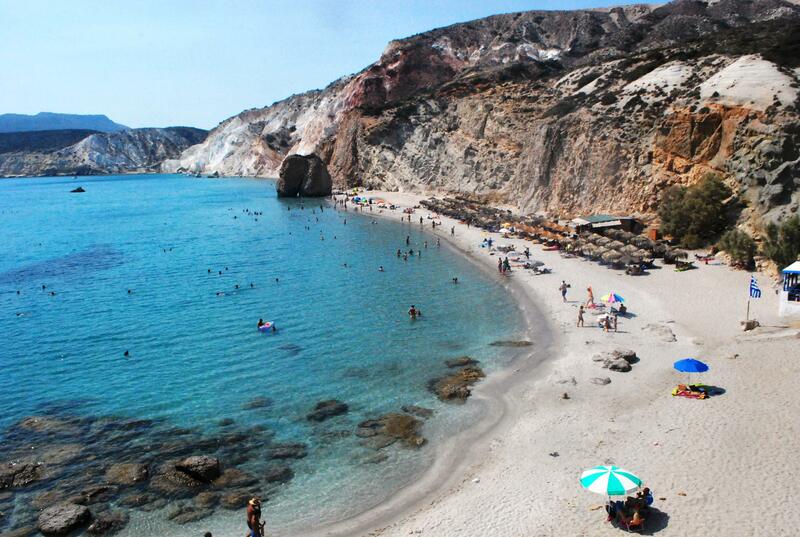 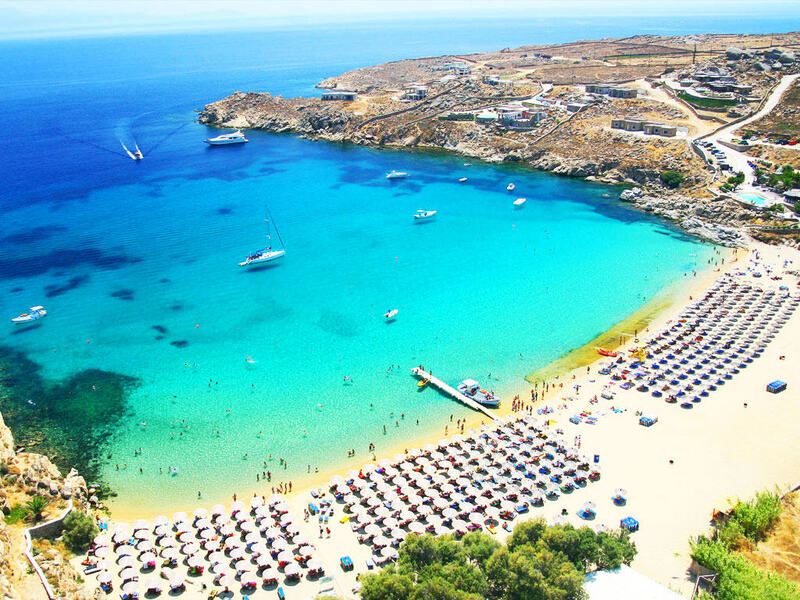 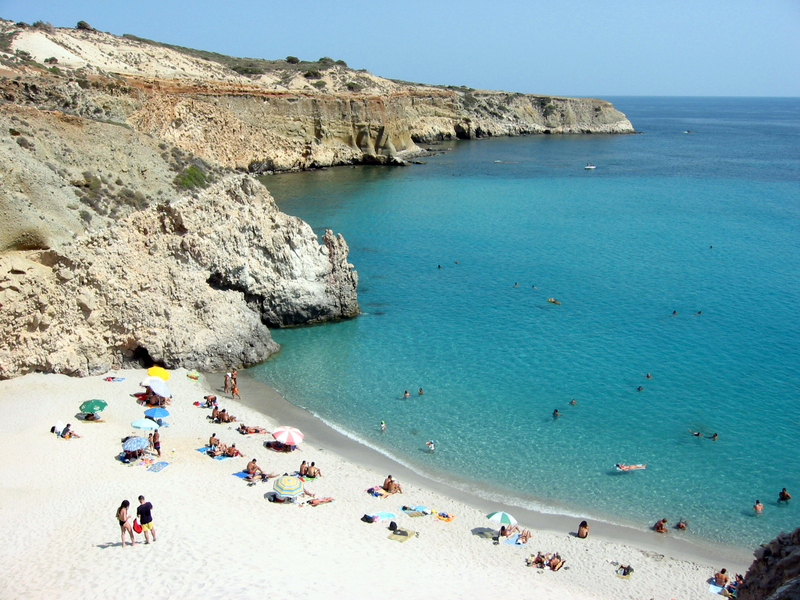 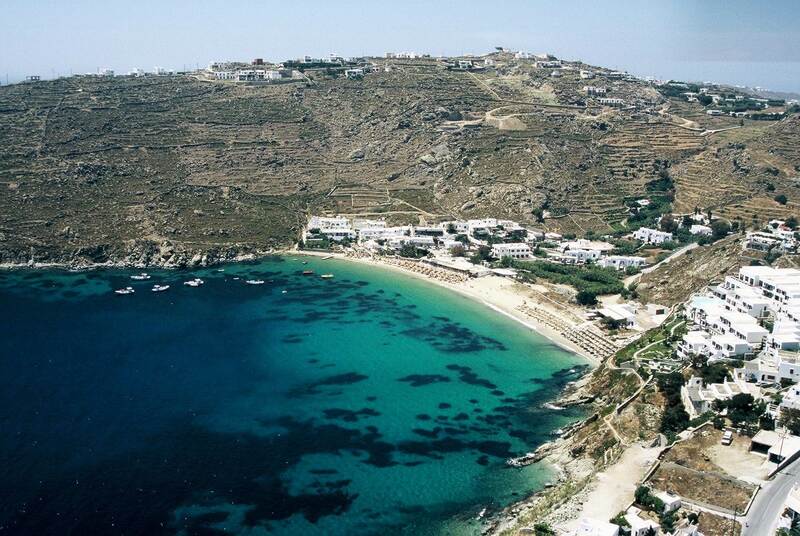 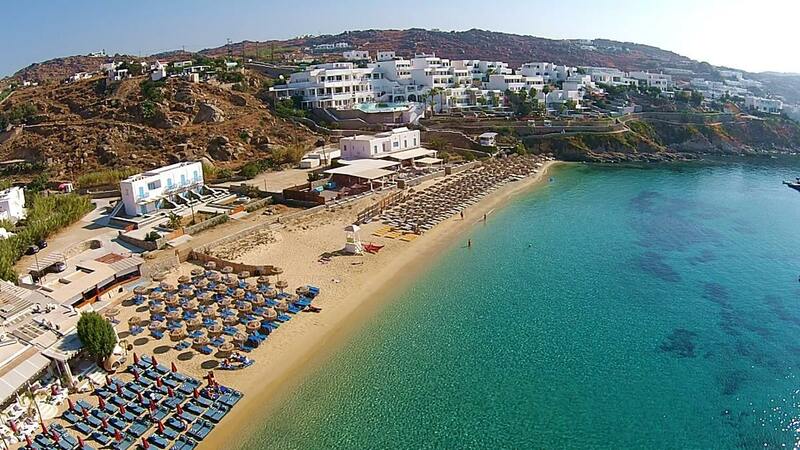 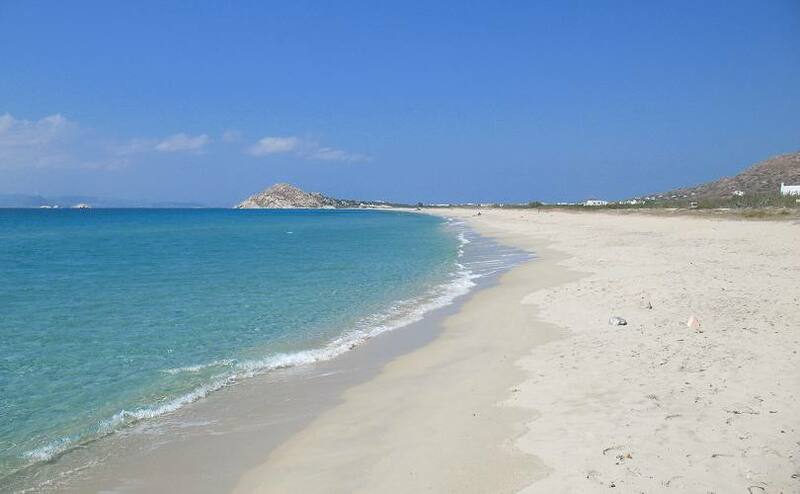 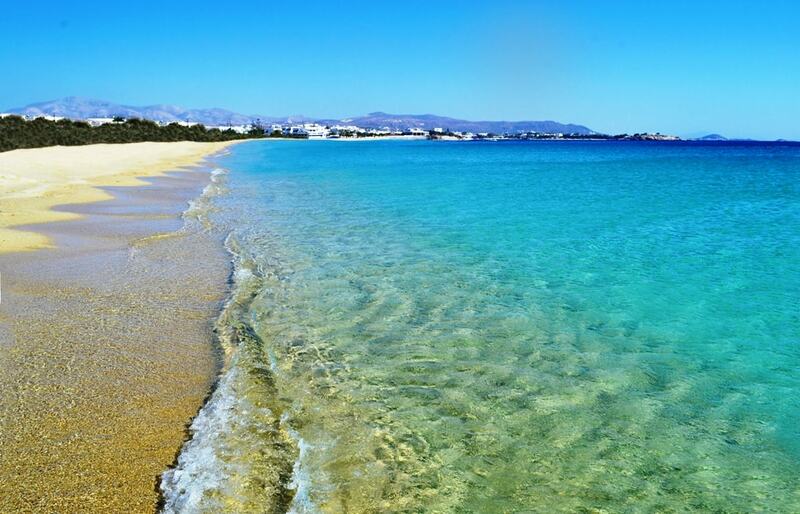 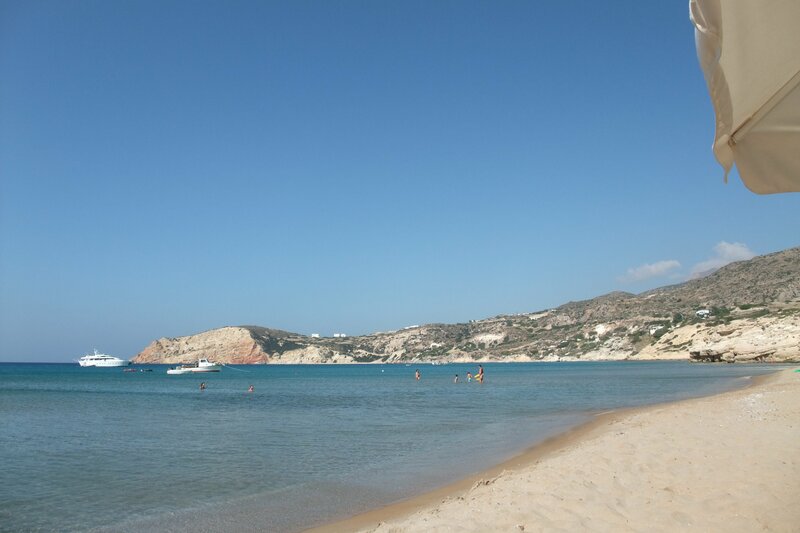 Out of all beaches, Mylopotas is the busiest beach on the island and stretches for 1 km. 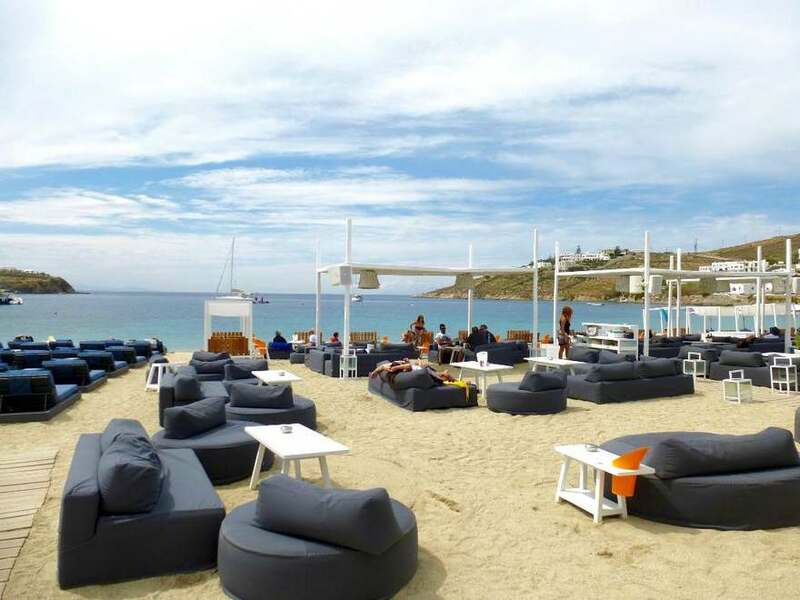 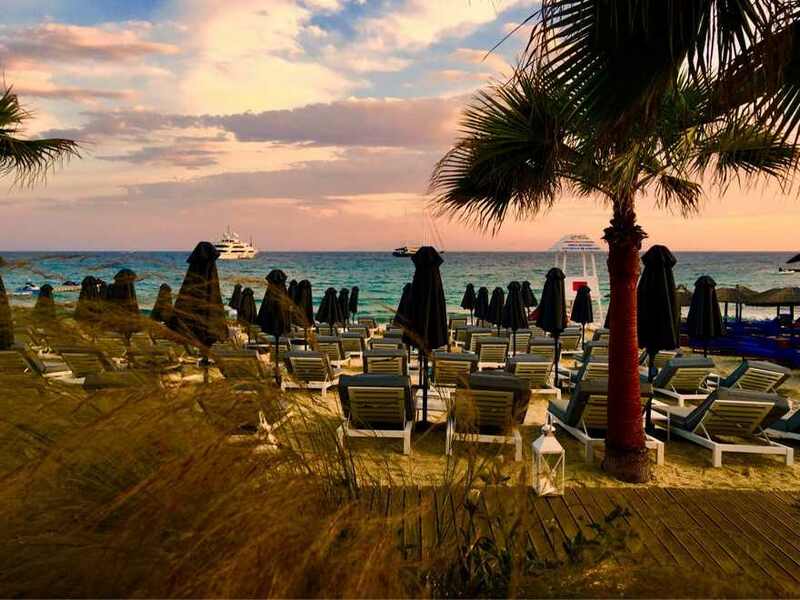 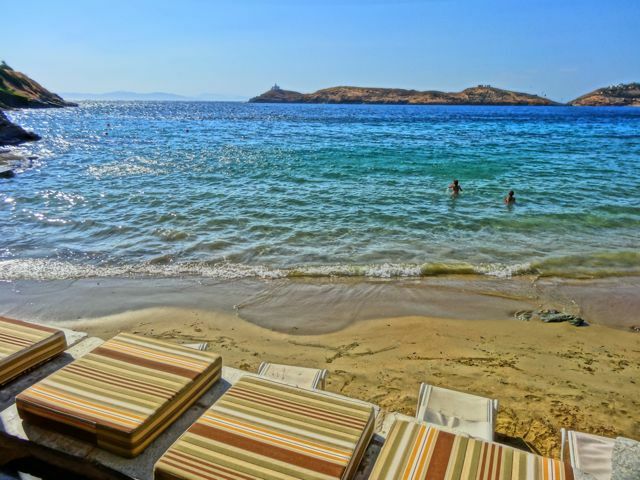 Mylopotas Beach offers cafes, bars and restaurants. 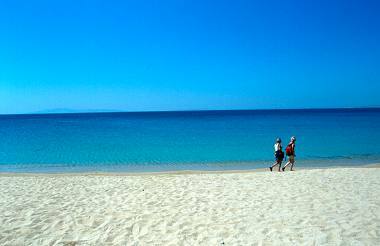 Psathi Beach is characterized by peace and tranquillity since it is still untouched by mass tourism. 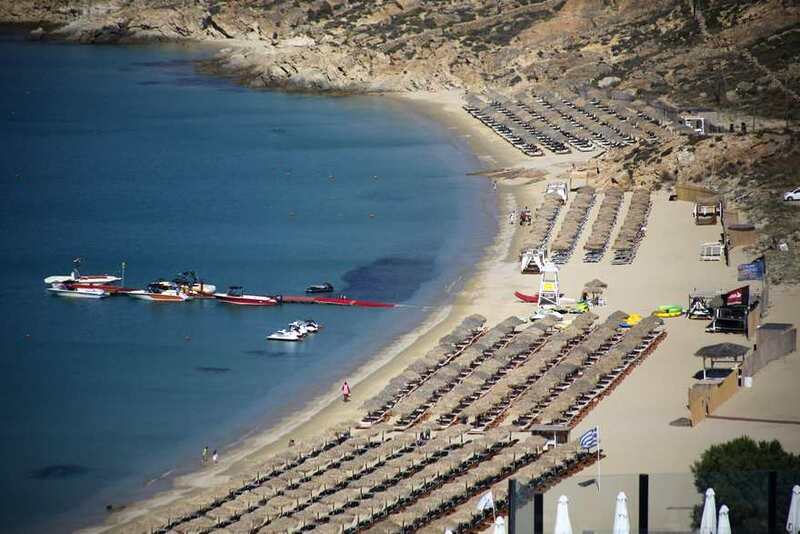 It is popular among windsurfers because of the high waves on windy days.